New website, and new translation system! If you are here, you’ve already noticed this….Today the new Yasr website is finally born! And yasr itself is now installed on. What do you think about it? Further this, thanks to the new tranlsation system on wordpress.org, is now really easy translate Yasr! Take a look here! 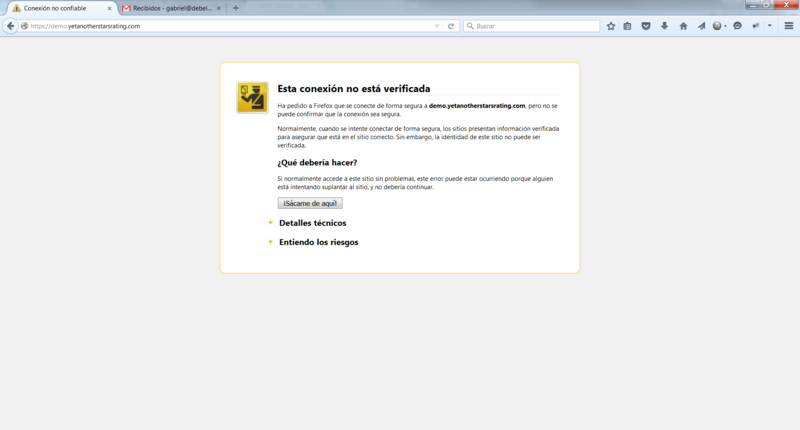 I don’t know why, but when I access to your website Google Chorme alert me about malicious site. I think your domain its banned or something. So strange, I’ve tested it on Linux Windows and Android with many browsers, never had this problem. What version are you using? Can ypu please try with another browser? With firefox seems works fine. aaahhh ok, you’re tryng to access to the subdomain demo! SSL is installed only on yetanotherstarsrating.com, not in the subdomain, so you can’t access the demo site with https but only with http !